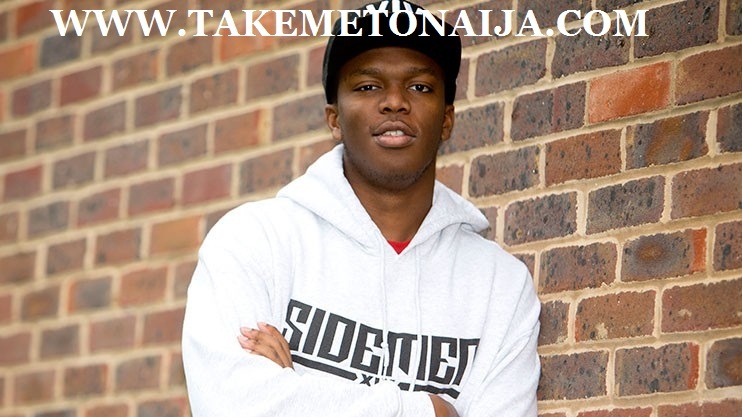 Introducing: KSI Biography, Nigerian World Class Youtube Star And Musician. KSI whose real name is Olajide Olatunji also known as JJ is a Nigerian British YouTube star and rapper, born to his Nigerian parents from the Yoruba tribe, he is best known for his YouTube channel, which has, as of 19 January 2016, reached over 11 million subscribers, he released his EP album in 2016 and he is ranked among the most influential Youtubers in the world by Forbes. Being his own boss, Olatunji sets his own routine. They meet at 3pm because his manager warns him he rarely rises before noon (and rarely goes to bed before 5am). He was big on gaming and he really wanted to explore the idea of uploading videos to YouTube, especially gaming videos. So he tried it himself and he didn’t do very well, but it was a start, his first video had zero views, according to him it was so depressing. People were getting thousands of views and he was sitting with his zero. He pushed it out to his family and friends, and on to forums, and eventually it started to get a bit more traction. After a year, he got up to 7,000 subscribers, so that was pretty crazy. After another year, it went up to around 20,000. He wasn’t really into school that much. “I was in this building having to cram knowledge I didn’t really care for. But on YouTube I was able to create what I wanted and post it for people to watch. “Now they have completely changed. They’re doing videos with him and his brother all the time and they completely get it. He was able to pay for his parents’ house which was really, really cool, “it was the best thing I could ever do for them. They have looked after me so it was awesome for me to be able to look after them.” He says. Before his successful channel, Olajide had a YouTube channel (which is still online) called JideJunior, which he created on 24 April 2008. Olajide opened his current YouTube account on 24 July 2009, with a video about the FIFA video game franchise. According to his website, YouTubers such as Weepeler and Hjerpseth inspired him to start his own YouTube career. His main channel is primarily focused on FIFA, although he plays other games such as Grand Theft Auto V and other PC-based modifications on his secondary channel. Olajide’s family often appear in his videos, especially his younger brother Deji and his father. His secondary channel (KSIOlajidebtHD) contains videos of him playing more casual, arcade and horror games in a manner similar to that of comedic horseman PewDiePie. Olajide also sometimes plays with his brother Deji Olatunji, who also owns a YouTube channel called ComedyShortsGamer. KSI was the centre of a controversy following his actions at Eurogamer 2012, raised after he appeared at the Xbox One launch party in London. With the reasoning of the controversy due to supposed sexual harassment on attendees of the event, Microsoft cut ties with the video game commentator, and he was banned for life from the Eurogamer Expo. A message from KSI’s manager states “Sexism is not something he condones or wants to be associated with. He wishes to apologise for any offence the video of 15 months ago may have caused in the short time it was on his YouTube channel, references to it since and subsequently used by other people. In recent months, he has also been actively avoiding certain content seen in the distant past and wants to be judged on the great content and value he gives to brands and partners, without controversy.” Due to the severity of the controversy, it spilled over to involve VideoGamer.com. In February 2013, KSIOlajideBT appeared on the video “KSI VS FIFA // The Record Slam” made by GWRomg in which he broke the previous world record for ‘the most goals scored against computer’ of 110 goals, by scoring 190 goals. As a result, his name appeared in the Guinness World Records Gamer’s Edition (2013). In August 2013, KSIOlajideBT was reacted to on the Fine Brothers’ series Teens React. Soon after he then posted a reaction to this video in “KSI Reacting to Teens Reacting To KSIOlajidebt”. In October 2013, Olajide signed with Maker Studios’ sub-network, Polaris. Around that same time, he and five other gaming YouTubers formed a group called the Ultimate Sidemen, which initially consisted of himself, Ethan Payne (Behzinga), Simon Minter (miniminter), Josh Bradley (Zerkaa), Tobi Brown (TBJZL), and Vikram Barn (Vikkstar123). The group added a seventh member, Harry Lewis (wroetoshaw), in 2014. After defeating Virgin Gaming co-founder Zach Zeldin in a match of FIFA, Olajide visited Las Vegas, where he discussed YouTube’s launching of a paid-channel subscription project. Olajide branched out into music, mainly as a rapper. Starting out with fellow YouTuber Randolph, he released “Heskey Time”, a rap song about Emile Heskey which was released on iTunes just before Christmas in 2011. The video features the Heskey missing various chances on FIFA. Following the success of “Heskey Time”, he began doing a segment on his channel called “Football Rap Battles”, a video series which follows a similar vein to Epic Rap Battles of History. There, he and Randolph play the characters of famous figures from the world of football. Although it started off with raps featuring world footballers including Mario Balotelli and managers like Sir Alex Ferguson, one of them involves KSI as himself against Robin van Persie, hitting out at van Persie’s acrimonious transfer from Arsenal to rivals Manchester United. He has also appeared in music videos with Droideka, directing and appearing in his music video for his song Get Hyper, whilst also collaborating with British rapper Sway, releasing two tracks with the London born rapper. KSI released his first single as a solo artist on 23 March 2015 titled “Lamborghini”, which features rapper P Money. The song was released under Sway’s record label Dcypha Productions. On 29 October 2015, KSI announced his debut EP entitled Keep Up. It was be released on 8 January 2016 by Island Records. The EP features guest appearances by Jme, Sway, Tiggs Da Author, and others. The EP’s title track featuring Jme was released on 13 November 2015 along with a music video released on 15 November 2015. KSI and Randolph released a novelty single on 20 December 2012 as BlacknWhite, called “Sweaty Goals”. It reached #20 on the iTunes chart and #68 on the UK Singles Chart. He directed and appeared in the music video for the Droideka track “Get Hyper”, which is used as a segment on his videos where he uses the song when fans request him to “get hyper”. The song eventually charted on the UK Dance Chart, UK Indie Chart, and UK Singles Chart. Sway’s track “No Sleep”, which features a guest appearance from Oladije, also charted in the UK, narrowly missing the top 40, having been there in midweek. The song was performed at the Xbox One launch party and on the CBBC show Friday Download. On 29 March 2015, he gained his first UK Top 40 single with “Lamborghini” as it debuted and peaked at #30 on the UK Top 100 chart. On 16 March 2015, Olatunji announced via his YouTube channel that he was releasing a book entiltled KSI: I am a Bellend. The book is entitled KSI: I am a Tool in the United States. It is described by its publishers as “an all-out assault on the online universe”. The book includes his history and evolution as a YouTuber, tips on YouTube, his controversies throughout his career including his fallout with fellow YouTube personality Gudjon Daniel, and more. The book was released on 24 September 2015 in the United Kingdom and five days later in the United States. Olatunji did a tour supporting the book on 24 September 2015, ending on 4 October 2015. In June 2015, it was announced that Olatunji along with YouTube personality Caspar Lee will star in a movie entitled Laid in America. It will be released in 2016 and will feature other YouTube personalities including Timothy DeLaGhetto and Josh Leyva.